[Blind Gossip] Here’s an interesting little surprise about a Real Housewife. This Real Housewife has been active on her show for more than one season. She spends a lot of time on the show ruminating about her relationships with men. It’s an act. She is not interested in men at all. However, to be on Real Housewives, she had to be willing to talk about her men and other people’s men and creates drama around it, so she plays the game. 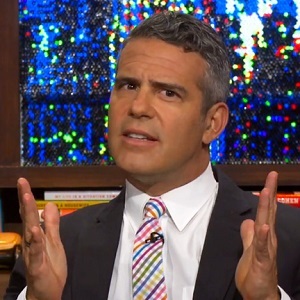 Not sure if Andy Cohen knows this. She will never get fake-married like some people, but she will do fake-dating. She actually has a very nice girlfriend named [redacted] who, of course, will never be on the show. [Optional] Did you ever suspect that she was gay? Correct! That Mexico episode revealed quite a bit about Ms. Morgan. Sheree Whitfield…if this is true, NOT SURPRISED! This!! I’ve been hearing rumors for years that an Atlanta housewife was into girls & had a serious ongoing down low relationship. I thought it was Kenya for a bit but I now think it’s sheree. The article says she won’t get fake married for a storyline, but she will fake date. Definitely sheree since Kenya just got married. Sonja could this be you? I’m pretty sure Andy knows everything. Luanne getting married for the show was the worst. I don’t want to hear anymore about it. Andy had Billy Eichner and Bridget Everett on last night, and all he talked about was Lu! I was looking for fabulous and got none. I def don’t think Vicki is gay but “her” show makes me think it’s her b/c she calls it “her show.” And there has certainly been dram. Not until the Mexico trip but now it all kind of makes sense. Her storyline this year is all about dating two men at the same time and it comes across as sooo phony. Never suspected she was gay, BUT she was all over Luann and Bethenny on the Mexico trip, so it’s not that unbelievable. Sonja Morgan. She’s often sloppily drunk and wanting to make out with the woman so my guess is her. Clue… It’s an Act … Is it Porsha.. She’s iin Sharknado.. ATL Is good for the Drama! at first I thought could it be Sonja? but she’s been married and has had too many mento be gay. No this is Carole Radziwell for sure! I also think ( no proof) that her husband was gay also, and yes, Andy knows. Carole Radziwell definitely b/c Adam his her beard, you have never seen her on a date and always says she wants to live alone with her CATS…what is she hiding or not telling us????? Wouldn’t a real lesbian (a woman being authentic) bring in more viewers than a fake hetero romance? I don’t get it. Why lie? I think if her gf were willing to come on, they might be fan favs. Everyone loved Rosie on NJ years ago when I watched. I would say Sonja BUT she had been a lover of Tom D’Agostino’s for years. So she clearly likes men.